If you ask any serious bodybuilder or physique enthusiast what the most important macronutrient is in terms of adding muscle you can bet your left bicep that 99% of them will answer ‘protein.’ Not without good reason, dietary protein has been shown to enhance muscle gains that occur with proper training by creating an anabolic environment via increased protein synthesis and improved nitrogen balance. There are so many articles written on how protein increases muscle gains, they would probably weigh so much if you stacked them together and put them on a barbell eight time Mr. Olympia Ronnie Coleman would have trouble budging them! Yes, the notion that protein can help build muscle is old news. Instead of beating a dead horse, I am going to talk about dietary protein in a capacity that you may not have considered before. I am going to discuss how dietary protein can help shred you. That’s right, dietary protein not only builds T-shirt bursting muscle but also can help melt off unwanted fat. How you ask? Read on my friend, knowledge is power. For many years diets have rested upon the idea that ‘a calorie is a calorie’ meaning calories from protein were the same as calories from carbohydrates and fats. They were all regarded as equal in their ability to regulate fat gain or fat loss. If this theory was correct then people would lose the exact same amount of fat if their calorie deficit was the same regardless of how they created the deficit. High protein or low protein, high carbohydrate or low carbohydrate, high fat or low fat, none of it would matter so long as the calorie deficits where the same, weight loss would be identical between subjects. Recent evidence however, suggests that this notion is as bogus as OJ’s alibi. Several studies have shown that high protein diets cause more fat loss compared to normal or low protein diets when calories are equal between the diets . The results of these experiments show quite clearly that high protein diets have a metabolic fat loss advantage compared to normal/low protein diets. What’s more, a high protein diet has been shown to be superior to normal/low protein diets in maintaining muscle mass and improving body composition during a diet . These studies showed that normal/low protein diets caused muscle loss during a calorie deficit while a high protein diet effectively maintained muscle mass and improved body composition! More muscle, less fat, sounds good yes? You bet your six-pack it does. Additionally, subjects who followed a high protein diet after calorie restriction was complete regained less fat and gained more muscle, improving body composition ! Assuming the fat loss fairy is not sprinkling her magic fat-incinerating dust on the high protein diets, what explains the difference in fat loss between high protein and normal/low protein diets when calories are the same? There are several possibilities. The first is diet induced thermogenesis (DIT). DIT is defined as ‘the increase in energy expenditure above basal fasting level divided by the energy content of the food ingested and is commonly expressed as a percentage’ . It basically refers to food that you eat increasing your metabolic rate. Foods containing differing amounts of protein, carbs, and fats can have different impacts on increasing metabolic rate. Indeed, it has been shown that diets high in protein a much greater impact on thermogenesis when compared to typical diets . In fact, the thermogenic effects of nutrients are approximately 2-3% for lipids, 6-8% for carbohydrates, and 25-30% for protein ! This increased thermogenesis seems to cause increased weight loss in high protein diets compared to diets equal in calories but higher in carbohydrates. Interestingly, it seems that higher quality animal protein sources induce greater increases in thermogenesis than vegetable protein sources . Another aspect of high protein diets that makes them favorable to improving body composition is the fact that protein is relatively ‘inefficient energy’  In short it takes more energy to extract the energy contained in the amino acids from dietary protein compared to carbohydrates and fats. In fact, many amino acids are first converted to glucose before they can be oxidized for energy. This process occurs in the liver and is called gluconeogenesis. The process of gluconeogenesis itself requires the body to input energy. Since the body must put energy into the process, that makes it less efficient and therefore it is harder to store fat from dietary protein due to the energy the body must expend in converting many of the amino acids to glucose. In fact, high protein diets are so energy inefficient that it is much more difficult to induce fat gain and obesity on a high protein diet than on a typical diet . Furthermore, it has been demonstrated that high protein diets are much satisfying than normal diets and are very effective at reducing hunger during caloric restriction . So not only does a high protein diet increase the amount of calories your own body expends, it also prevents you from over consuming calories by being satisfying! Many people may attempt to argue that the fat burning effect of high protein diets is more so due to the fact that quite often, these diets are low in carbohydrates. Proponents of very low carbohydrate or ketogenic diets often claim that the low carbohydrate nature of the diets make them superior to moderate or high carb diets. Certainly high carb diets are not optimal since it impossible to eat both high protein and high carbohydrate while restricting total calories at the same time. However, what about high protein, very low carb diets vs. high protein, moderate carbohydrate diets? A recent study compared a high protein, very low carbohydrate diet vs. a high protein, moderate carbohydrate diet while keeping total protein and calories constant . At the end of the test period (six week) both groups had lost statistically similar amounts of bodyfat, with the moderate carb group actually losing slightly more bodyfat, although it was not statistically significant. It is therefore reasonable to conclude that it is the high protein component of the diet that is causing greater fat loss and increased thermogenesis, rather than the low carbohydrate aspect of the diet. There is also another very important aspect to high protein diets that we have not yet discussed. 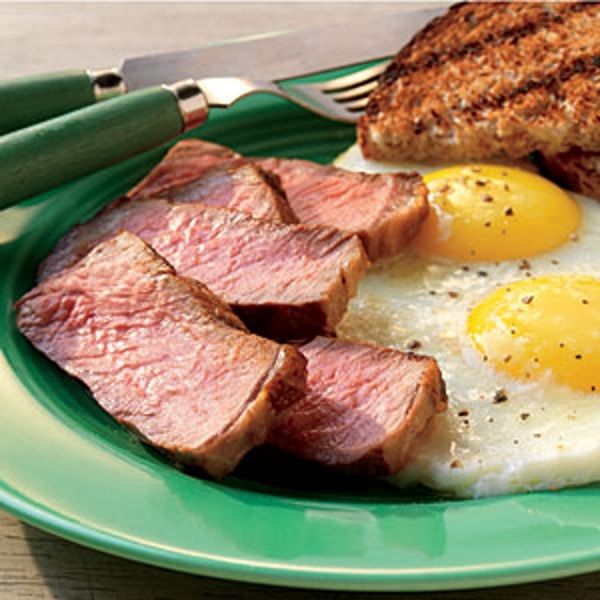 High protein diets also increase the levels of the branched chain amino acids (BCAA). The BCAA consist of the amino acids valine, leucine, and isoleucine, and are very unique amongst the amino acids for several reasons. Unlike other amino acids, they are not metabolized at all by the liver and make it into the bloodstream in similar quantities as ingested. The BCAA, particularly leucine, have been shown to be unique in their ability to stimulate protein synthesis in muscle . Protein synthesis is the process of making new body proteins from amino acids. This process is very energetically expensive can account for quite a few calories burned . Indeed, it has been shown in a recent study that subjects with chronically elevated levels of BCAAs are leaner, more insulin sensitive, and are resistant to diet induced obesity ! Leucine itself has been shown to increase insulin sensitivity, essentially allowing insulin to do its job of transporting carbohydrates into cells more effectively . It appears that the BCAAs may also play a role in the muscle sparing effect of high protein diets. It has been demonstrating that supplementing a normal protein calorie restricted diet with leucine increases muscle retention compared to an unsupplemented normal protein diet . It appears that leucine and the BCAA are at least partially responsible for many of the metabolic advantages of high protein diets. Now after that entire scientific spiel I’m sure you are itching to know what specific recommendations we can draw from this research. It is important to keep in mind there is no one diet for anyone. Everyone has differing amounts of calories, carbs, and fats they can tolerate and lose bodyfat and that depends on many different variables. Where protein is concerned however, the studies seem to suggest that 30% of calories from protein are enough to cause a significant difference in terms of bodyfat loss and muscle retention compared to traditional diets . In terms of grams of protein per pound of bodyweight, it appears that anywhere from 0.7g/lb to 1.25g/lb can cause significant differences. If one is more endomorphic and tends to store fat more easily, it might be wise to aim for the higher end of this range and keep carbohydrates lower in order to take advantage of the thermogenic effect of greater protein intake while ectomorphs and mesomorphs may want to aim more towards the lower to middle of this range. Additionally, there is evidence to suggest supplementing with BCAAs may enhance the effect of a high protein diet. I would recommend 10-20g of BCAA per day depending on weight and bodytype (use aforementioned guide for total protein intake). Try to spread your protein and BCAAs (if you choose to supplement with them) over 4-6 meals and as always keep in mind a proper resistance training and cardio program is essential to reap the maximum benefits from any nutritional plan. Now, go get your LEAN on with Protein! Feinman RD, Fine EJ. Thermodynamics and metabolic advantage of weight loss diets. Metab Syn Relat Dis. 2003. 1:209-219. Brehm BJ, Seeley RJ, Daniels SR, D’Alessio DA. A randomized trial comparing a very low carbohydrate diet and a calorie-restricted low fat diet on body weight and cardiovascular risk factors in healthy women. J Clin Endocrinol Metab. 2003 Apr;88(4):1617-23. Westerterp-Plantenga MS.The significance of protein in food intake and body weight regulation. Curr Opin Clin Nutr Metab Care. 2003 Nov;6(6):635-8. Westerterp KR. Diet induced thermogenesis. Nutr & Metab. 2004. Aug 18;1(1):5. Westerterp-Plantenga MS, Rolland V, Wilson SA, Westerterp KR. Satiety related to 24 h diet-induced thermogenesis during high protein/carbohydrate vs high fat diets measured in a respiration chamber. Eur J Clin Nutr. 1999 Jun;53(6):495-502. Lejeune MP, Westerterp KR, Adam TC, Luscombe-Marsh ND, Westerterp-Plantenga MS. Ghrelin and glucagon-like peptide 1 concentrations, 24-h satiety, and energy and substrate metabolism during a high-protein diet and measured in a respiration chamber. Am J Clin Nutr. 2006 Jan;83(1):89-94. Westman EC, Mavropoulos J, Yancy WS, Vlek JS: A review of low-carbohydrate ketogenic diets. Curr Atheroscler Rep 2003, 5:476-483. Dulloo AG, Jacquet J. Low-protein overfeeding: a tool to unmask susceptibility to obesity in humans. Int J Obes Relat Metab Disord. 1999 Nov;23(11):1118-21. Review. Stock MJ. Gluttony and thermogenesis revisited. Int J Obes Relat Metab Disord. 1999 Nov;23(11):1105-17. Review. Johnston CS, Tjonn SL, Swan PD, White A, Hutchins H, Sears B. Ketogenic low-carbohydrate diets have no metabolic advantage over nonketogenic low-carbohydrate diets. Am J Clin Nutr. 2006 May;83(5):1055-61. Bier DM. The energy cost of protein metabolism: lean and mean on Uncle Sam’s team. In: The role of protein and amino acids in sustaining and enhancing performance. Washington, DC: National Academies Press, 1999:109-19.
with the activation of a futile protein turnover cycle. Cell Metab. 2007 Sep;6(3):181-94. Zhang Y, Guo K, LeBlanc RE, Loh D, Schwartz GJ, Yu YH. Increasing dietary leucine intake reduces diet-induced obesity and improves glucose and cholesterol metabolism in mice via multimechanisms. Diabetes. 2007 Jun;56(6):1647-54. Donato J Jr, Pedrosa RG, Cruzat VF, Pires IS, Tirapegui J. Effects of leucine supplementation on the body composition and protein status of rats submitted to food restriction. Nutrition. 2006 May;22(5):520-7.